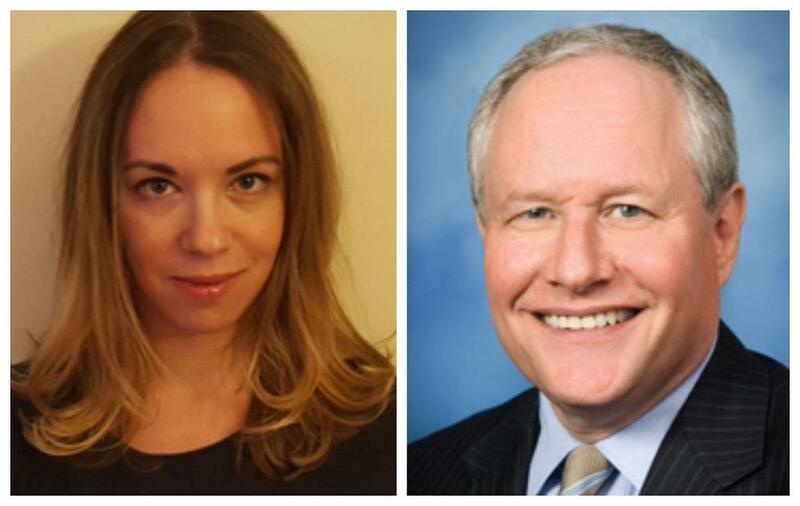 Bill Kristol and Sarah Kendzior joined producer Alex Heuer on "St. Louis on the Air." As American politics has become increasingly divided and divisive, particularly since the election of President Donald Trump, commentators on both sides of the aisle have grappled with how best to operate among these divisions. That issue is the topic of FOCUS St. Louis’ “Being an Agent for Change in a Divided America” event, which will be held Friday at the University of Missouri-St. Louis. The event’s keynote speakers, Republican commentator and writer Bill Kristol and progressive journalist and writer Sarah Kendzior, both joined executive producer Alex Heuer on Thursday’s St. Louis on the Air. Kristol, who founded the now-defunct conservative publication The Weekly Standard and has since become an outspoken critic of Trump, said that though the American political system seems broken at the moment, there are other institutions in which people can voice their opinions, and that it is important that even in divisive times people are vocal with those beliefs. Kendzior, who studied authoritarian dictatorships as a doctoral student at Washington University, said that it is vital for people across ideologies to agree on certain core values, but also to preserve diversity of opinion and political debate. Kendzior added that many of the issues plaguing the United States today have deeper roots than its current political leaders, and it will likely take a variety of approaches to solve them.